Click the banner to go to the full schedule for Indie Girl April! "Yep. And how old are you Gwenny?" "Gwenny?" I snort, quirking a brow at him. "Well, I've given you my heart. I figure the next thing I need is a pet name. What's mine going to be?" "If me being half naked means I get to have your eyes on me like they are now, I'll never get dressed again." "My home shouldn't be a place of war. I want you to feel comfortable." "Stop stealing my bacon then." "Not the puppy dog eyes, anything but the puppy dog eyes," he jokes, pretending to shield his face with his hand. "I'm almost certain I don't like you anymore," he adds but his body starts to shake beside mine. "Stop laughing, it's contagious." He picks up the giraffe and places it in the basket. I almost smile at his attempt to cheer me up. It was subtle but it was still an attempt and I'm grateful for that. I actually really, really want to give this book four stars because of where the story is headed, but as this particular book stood on its own, it's a very solid 3-star read. The beginning was okay, the middle was better, and the end was soul shattering. All added together, Broken is quite the novel. I liked it. There were specific things I LOVED in this book, and then there were other things I definitely did NOT love, and things that made me scratch my head a bit. - The first 15-ish percent. This is odd, because that part was a bunch of romance, but it was so...cheesy. And complete insta-love--not the good kind. I can get down with insta-love, but in this case it just made the entire relationship feel sketchy. I never felt like Caleb and Gwen were a real, solid couple. Partially because of the insta-love and partly because an entire year of their relationship was glossed over, taking away our chance as the reader to see that and grow to enjoy them as a couple. It was very much telling instead of showing. ALSO, who assumes the name Gwen is short for Guinevere? Is it just me or is that weird? - Caleb. Yeah, I didn't like him. He was hilarious, don't get me wrong. But he seemed so shady. Clearly hiding something from Gwen. I didn't really trust him. He wasn't the love interest for the ENTIRE book (not really), but he was an important enough facet of the story that this is worth noting. And can we please take one quick second--CALEB WAS A HUGE FREAKING A-HOLE REGARDING A CERTAIN THING. Giving ultimatums and walking out and being the absolute worst. Like, why couldn't he stick around for five minutes and talk? Why couldn't they both explain their sides in more detail, so they could make the decision like adults? But no. He says THIS, and she says THAT, and he doesn't even want to discuss THAT, so kbye. Ugh. This was only a small part, but it still made me rage. - Inconsistencies. There were a few things that changed throughout the novel. I know some were done on purpose, to show growth between the characters. THOSE are not what I'm talking about. No, what I'm referencing here is things like how far along Gwen is in her pregnancy. 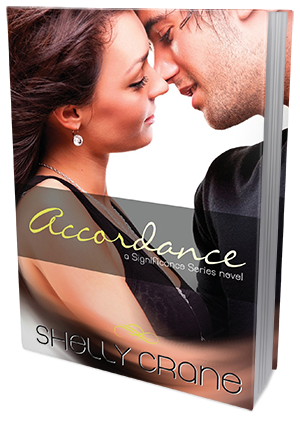 At one point she had eighteen weeks left, and a few pages later she was telling Nathan that she had nineteen weeks left. Stuff like that. - The writing didn't really blow me away. It just felt...okay. In the beginning that wasn't a huge deal, because the book wasn't going well anyway, but then farther in things got so great and I wish the writing had improved along with the story at those points. - Gwen...sometimes. I have a love/hate relationship with Gwen. She could be very, very annoying. But then other times she could also be strong and brave. Just depended on the moment. - NATHAN. Surprisingly, I adored Nathan. Crazy, right? Caleb seems more my speed. But Nathan... he was so complex. And confusing. And he could be a real jerk. But even while he was being a douchcanoe, he could show he cared. He tried to put on the face of a person who gave zero craps, but then he did little things to reveal that he DID, in fact, care. And then when he actually started opening up a bit more and teased with Gwen... yeah. This guy. He's a great one, and a terrific, interesting character. - The growing relationship between Nathan and Gwen. They start out seeming like they hate each other. But as the story progresses, they grow closer, and their entire relationship was just the most amazing thing. So fragile in ways, yet so resilient in others. I ship it, all day every day. - The rest of the book after the first 15-ish percent. Terrible of me, I know. But once Caleb is out of the running and Gwen and Nathan are in their SITUATION, things got much better. More intriguing, more enthralling, and more emotional. It was during that part of the story where I became invested in what happened to the characters. I wanted things to be okay. I wanted to KNOW what the deal was. - Specifically the ending. Because DUDE. I am definitely picking up book two. Like, ASAP. Where we're left? What's going down? What we just FOUND OUT? Dear baby goodness. This was where this book and series jumped up to some crazy awesome level. I'm concerned, I'm curious, and I must admit that I'm even kind of impressed. - How hard it was to put this book down. Seriously, I was so reluctant to spend time away from this book. Even in the beginning when my feelings were very meh toward everything, I KNEW there was something coming, and I couldn't stop reading. And then we got the part where the book improved tenfold and I was a complete goner. Such a great story! 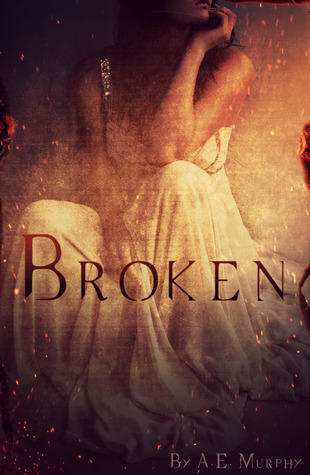 Overall, I truly enjoyed Broken. While the novel was disappointing in some areas, other parts definitely made up for them. By the end of the book, the story really hit its stride and I have super high hopes for book 2, which shouldn't suffer from the first 15-ish percent problem this one did. I'm so glad I picked up this story and gave it a chance, and I can't wait to dive into the next!